Matter referred for consideration of larger bench. The question whether a Member of Parliament or a state assembly, if expelled from the party on whose ticket he or she was elected, could continue as an unattached member or be considered as the member of that party, came back to haunt the Supreme Court today, with Amar Singh filing a fresh writ petition to reopen the case closed by the Supreme Court last year , following the expiration of his previous term as the Rajya Sabha Member. 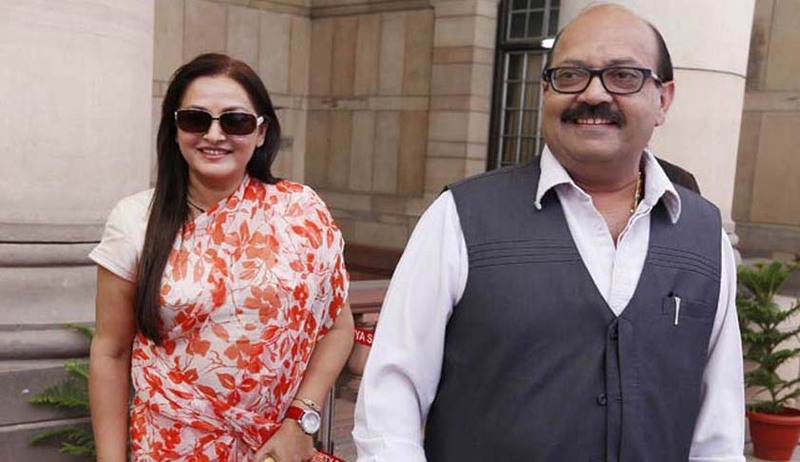 During their previous terms as Members of Rajya Sabha, Amar Singh and Jaya Pradha, both expelled from the Samajwadi Party, continued as unattached Members of the House, despite lack of clarity about their membership status. The Anti-Defection Act has no provision for unattached Members, and it is purely an invention of the Presiding Officers. Both had challenged in 2011, the application of Paragraph 2 of the Tenth Schedule to the Constitution dealing with the disqualification of Members on the ground of defection, to them, as they stood expelled from the Samajwadi Party in 2010. The Supreme Court declined to answer their challenge to the provisions of Tenth Schedule, as their terms had, in the mean time, come to an end. “As the question remains alive today, we think it appropriate that the matter should be placed before the larger Bench for consideration of the questions…”. As C.U.Singh, senior counsel appearing for Amar Singh prayed for interim relief, pending the reference to a larger bench, the bench, comprising justices Dipak Misra and A.M.Khanwilkar, today issued notice to the respondents, to decide the question of interim relief. Curiously, the question why Amar Singh should ask for interim relief or even non-application Paragraph 2 of the Tenth Schedule to him, as he is shown in Rajya Sabha records as Independent Member, is likely to be asked during the hearing.